Oh my word! 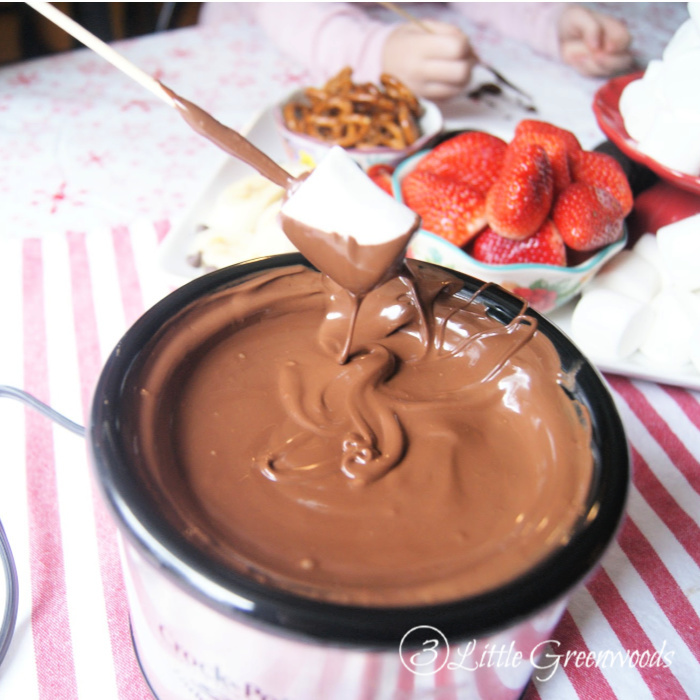 This 2 ingredient Crockpot Chocolate Fondue Recipe is AMAZING! 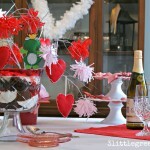 Perfect for dessert parties or a special Valentine’s Day dinner. 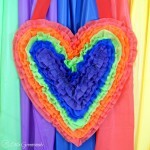 When you think of Valentine’s Day I bet you think of yummy boxes of chocolate and romantic dinners for two. Yeah. That’s what I used to think too. Fast forward 15 years with three kiddos and my idea of Valentine’s Day has changed. We’ve traded the romantic dinner for a family tradition of dining in. But we haven’t given up on the chocolate! 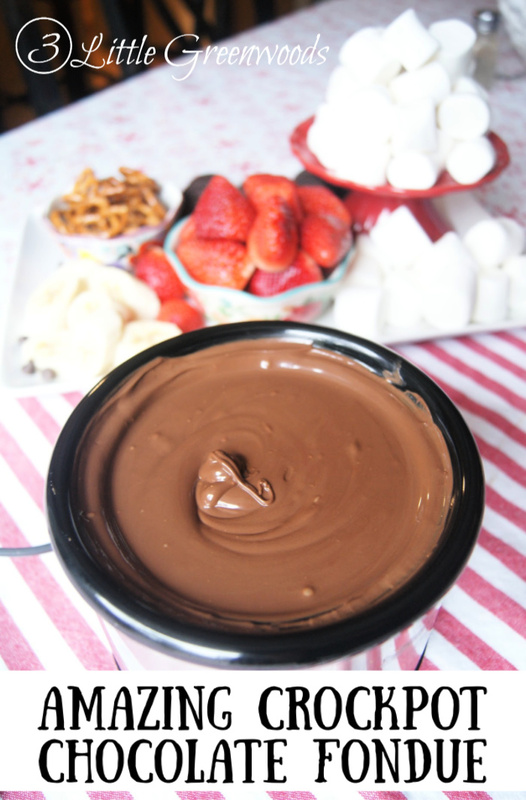 In fact we have cranked up the party with an amazing Crockpot Chocolate Fondue Recipe! 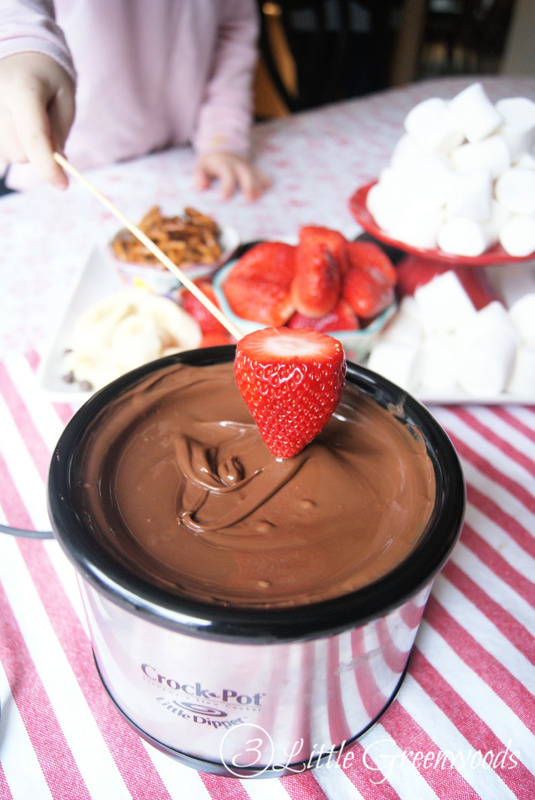 This slow cooker chocolate fondue couldn’t be easier – a perfect dessert for Valentine’s Day or for parties! Step 1. 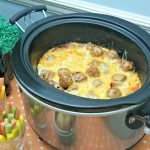 Add ingredients to crockpot and stir together. Since my slow cooker was so small I added the chips and spread gradually as they melted together. A larger crockpot would be able to hold everything at once. Step 2. Warm chocolate on low until melted. 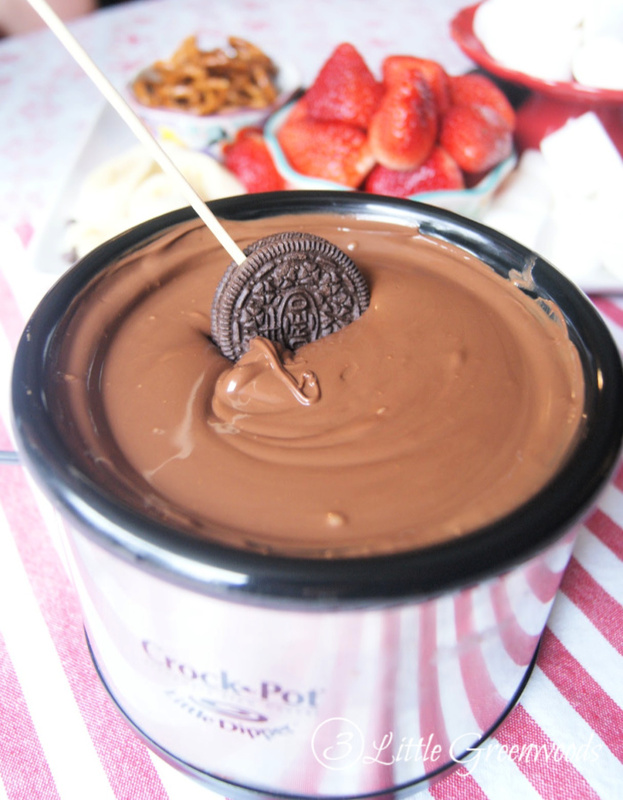 Stir every ten minutes until ingredients are completely melted and combined together. It only took my small crockpot about 30 minutes to heat everything. This is by far my children’s favorite part! 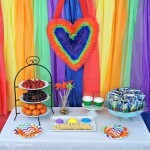 I pile a platter full of fresh fruit, marshmallows, pretzels, and Oreo cookies. 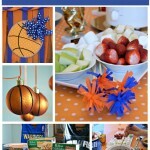 Fresh, ripe strawberries are a must! 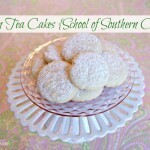 Our youngest son made a personal request for his favorite cookie this year. He couldn’t wait to dunk it deep into the chocolate! 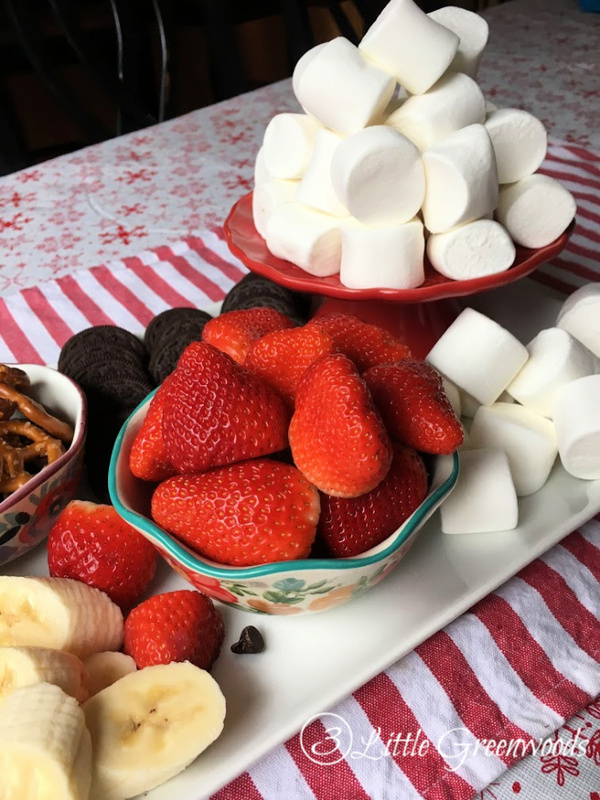 Strawberries and Oreos might be delicious but marshmallows are our favorite! 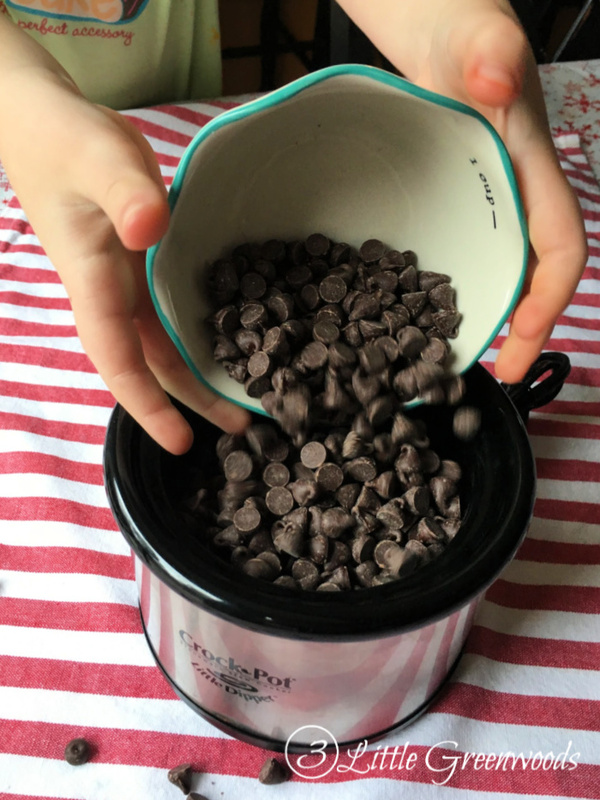 Everyone tries to get as much chocolate as possible on them. So so good! 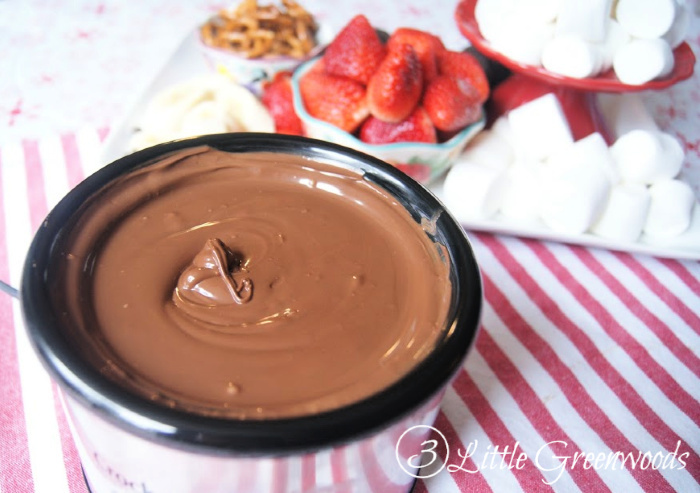 I hope you have a chance to make this two ingredient crockpot chocolate fondue recipe for your loved ones this Valentine’s Day!